SPICER TRANSMISSION, SPICER TRANSMISSIONS, SPICER TRANSMISSION PARTS. All in stock in our distribution warehouses ready to ship worldwide today! We stock the complete line of Spicer transmissions and parts. If it has a gear, we have the right solution for you. Call today for our warehouse direct to customer pricing on Spicer transmission parts, new genuine parts, gasket kits, gears, seal kits, hoses, rebuild kits. In addition we also carry shift levers, ring and pinion sets, yoke, cases, bell housings, and valves. 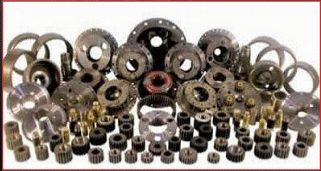 We have the complete line of Spicer transmissions and Spicer auxiliary transmission parts: overhaul kits, beairing kits, ring and pinion sets. Ask your sales person for our specials on gaskets, ball bearings, snap rings, o-rings, bushings, seals, tapered roller bearings, and ball bearings. Call us today with your Spicer Transmission model and we will locate the right part for you. We have the full line of light duty and auxiliary transmissions. We also carry the full line of parts for differentials, PTOs, transfer cases, and more. We Buy Spicer Transmission Cores. We also buy Spicer transmission parts, As well as any other truck drivetrain parts for all makes and models. We offer OEM and After Market Parts, Sales, Rebuilding Services and Repair Parts. We stock new, used and rebuilt parts for sale. SPICER TRANSMISSION PARTS READY FOR SHIPPING THE SAME DAY! We have any part for any Spicer Transmission ever built on site. Our warehouse is stocked with every part for all Spicer Truck Transmissions, O-rings, seals, gaskets, bushings, gears, and more. Call us today with your transmission's model number and our experts will rush your order. We also carry parts for all other major manufacturer's transmissions. Our warehouse also has a great selection of differentials, PTOs, transfer cases, and more. Spicer 5 Speed Transmissions. Spicer 6 Speed Transmissions. Spicer 7 Speed Transmissions. Spicer 8 Speed Transmissions. Spicer 9 Speed Transmissions. Spicer 10 Speed Transmissions. Spicer 11 Speed Transmissions. Spicer 13 Speed Transmissions. Spicer 15 Speed Transmissions. Spicer 18 Speed Transmissions.